The Oster BCVB07-Z is a very affordable countertop blender. This Oster model has a powerful 600 watts motor that will blend most of the things. There are more powerful blenders than this, but if you were put off from the expensive blenders because of the cost and because of the plastic jar, then this could be the blender for you. Not only the price is reasonable but it comes with a glass jar. As you know glass jars may be heavier to handle, but they clean easier and they do not scratch. This is a great blender for those who do not have one at all, and are not willing to spend lots of money on it. 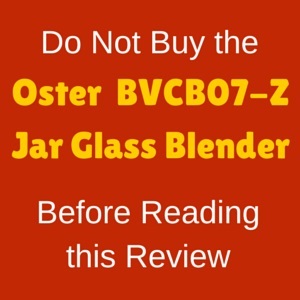 I decided to review the Oster BVCB07-Z Counterforms 6-Cup Glass Jar 7-Speed Blender, because it is very popular. But will it be useful for a whole food plant based eater? Read my review to find out. A 600 watt powerful motor. 7 speeds including high and low pulse. Stainless steel 6 prongs blade. Oster all metal drive for lasting durability (the two pieces that connect are metal). A 6 cup dishwasher safe, glass jar that is resistant to temperature changes. Can be used with mason jars. 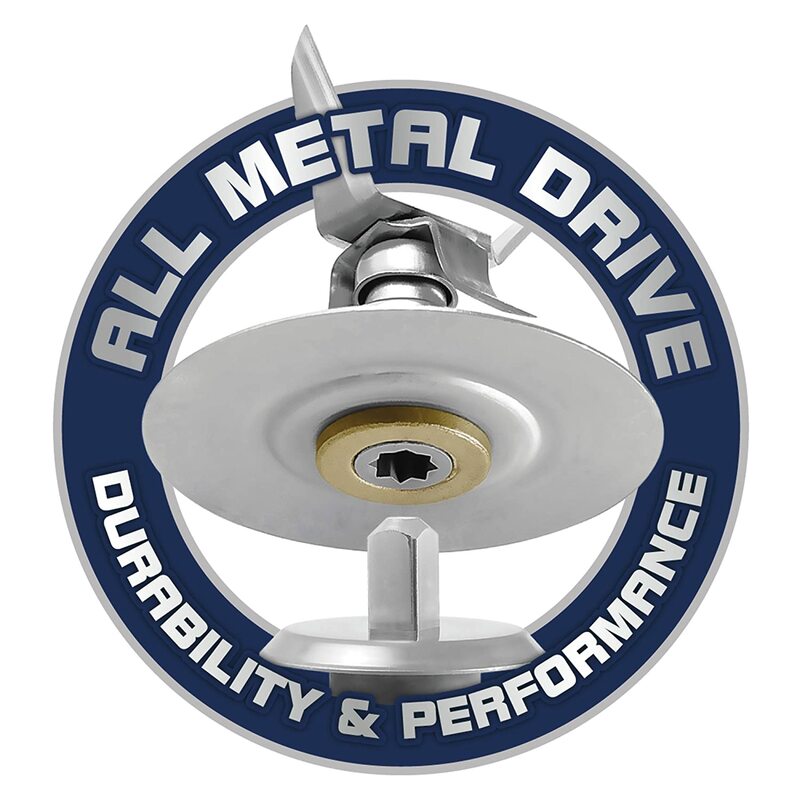 Oster 10 years all metal drive limited warranty. 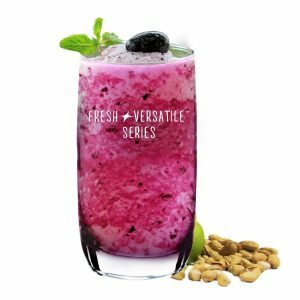 The Oster BVCB07-Z has two main functions: Frozen drinks and Chopping food. It does a good job with frozen drinks. You can prepare fruit smoothies, green smoothies, shakes. It also handles ice relatively well. In addition, you could get special blades specifically for ice, the ice crushing blades, that you can get form the manufacturer site. Because of the shape of the jar, I think you could be better off chopping food with a food processor. But the function is available. The manufacturer does not recommend the blender for grinding. The blender can handle mason jars, like the quart mason jars. So that is great for bending smaller batches. Screw the blade assembly into the mason jar mouth and blend smaller batches. It is ideal for salsas or dips, or even baby food. When it comes to chopping nuts, Oster suggests that you use the low pulse option. Pulse and stop till you get the desired size. I assume you can use the same function to chop anything else, but as said, I would not use it to chop vegetables. For nut buttress, start on Low pulse and then continue with low blending. Seeds do not get pulverized, but you cannot notice strawberries and blueberries seeds. On the other hand, you will be able to notice the blackberries and raspberries seeds. The blender can also be used for dips and sauces. You could also prepare some nuts milks, though I did not read any specific feedback regarding this and the manufacturer said they have not tested the blender for nut milks. The glass jar is prepared to process hot liquids, but the manufacturer warns you about processing boiling liquids. Hot can be handled and the glass jar is resistant to temperature changes. The blender will not warm out your soup, but you can always cook the soup and when it coos down a bit, you can blend it in here, or you can blend it first and warm it up afterwards. The Oster 6-cup blender is small enough to be left on counter, or you can store it in your cupboards removing the jar. The base of the blender is wider at the bottom and narrower on the top . The blades assembly can be unscrewed from the jar for cleaning. It can easily be screwed back, but you need to ensure that you screw it tightly. You do not want to have any accidents next time you lift the jar. The blender is very loud according to many users. But most blenders with a powerful motor are loud. . 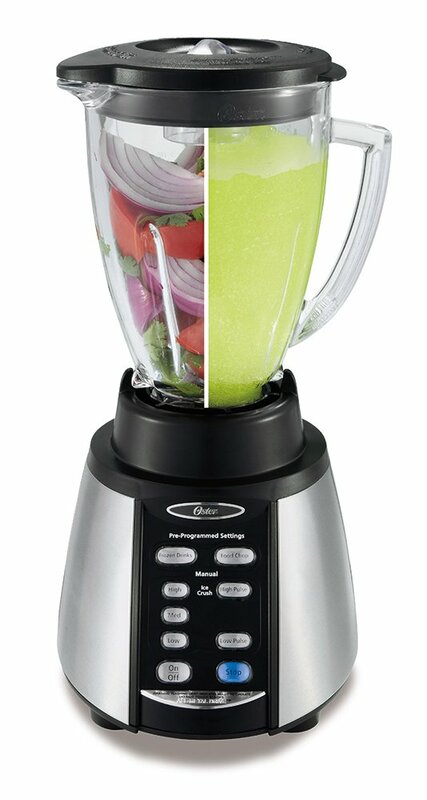 This Oster BVCB07-Z blender comes with a 6 cup (48 oz) glass jar. The jar is resistant to temperature changes, so you can process hot liquid. The manufacturer advises not to process boiling liquids. When processing hot liquids remove the filler cap so to allow steam to vent Start blending at low speed and slowly increase it to prevent splashes and burns. The blade can be unscrewed form the jar. The good thing is you can screw the blade assembly onto a mason jar. The blender is also compatible with the Blend-N-Go jars. That is really convenient for doing smaller size smoothies and take them on the go. The blender is also compatible with the 8 cup glass jar SO if you needed bigger batches you can also do it. One concern that I found in many reviews is that the jar does not lock onto the base. But in reality it locks with a twist. It does not lock as a food processor, but with a twist you can put it in place and it will be safe. You do not need to hold it. The lid comes with a 2 ounce measuring cup that can be used to introduce more ingredients when blending. The Oster BVCB07-Z comes with a 600 watt motor power. With such a powerful motor crushing ice or processing frozen fruit will not be a problem. The motor also comes with reversible technology. This means that it alternates the blades forward and backward ensuring that it drawings down al contents to the blades. The base of the blender, where the motor is situated, is made out of a combination of black plastic and stainless steel. The Oster BVCB07-Z comes with 7 speeds and a high and low pulse options. They are touch buttons that you need to push. The seven speed is a bit deceiving. IN reality you have two main pre-programmed options: The “Frozen Drinks” and the “Food Chop” option. In addition you have a high, medium and low manual control button. The high manual is good for ice crushing the medium manual is good for medium blending speed. The low manual option is good for low blending speed. You also get a high pulse and a low pulse option. So that makes the 7 speed options. But the pre-programmed options are only two. The bender also comes with a power on/off button. You need to switch the power on before doing anything else. You can also use the “stop” option to stop any process that is running, including the pre-programmed cycles. The blender will switch itself off after blending for 4 minutes. All buttons light up except for the stop button. When using the pre-programmed options, switch on the power on, add the ingredients to the jar, place the lid on, and press the desired pre-programmed option. This will stop automatically when finished. If you desire to stop it press the stop button. To use the manual control options, just power on the blender, put the ingredients in the jar, close the lid and press the manual option desired. Use the stop button to stop the process. The Oster BVCB07-Z comes with a 6 prong stainless steel blade. The blade has four prongs pointing up and two pointing down. You also have the option of purchasing the ice crushing blade. As said the blender comes with a reverse technology This means the blades will go forward and then backward drawing all ingredients to the blades, ensuring that everything gets processed and that you get a smooth drink. The Oster all metal drive, means that the pieces that connect are all metal, ensuring a longer lasting blender. The blender is dishwasher safe. 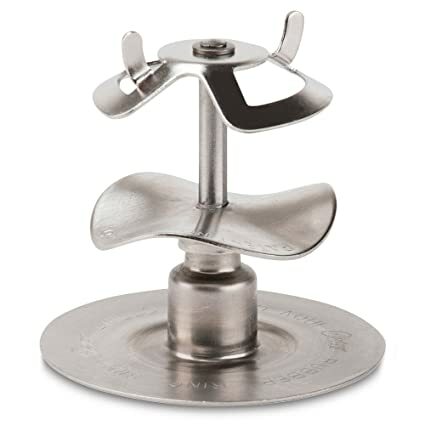 It is best to use the top rack for the lid , filler cup and blade. You can wash the sealing ring and the jar in the bottom basket of dishwasher. As you may have guessed you need to unscrew the blade from the jar to clean it properly. Just make sure you tightened everything properly. You do not want to blend, lift the jar and then everything drains out from the bottom of the jar. This happened to me with another blender and it is not nice. Once reassembled ,do not close the jar completely to prevent odours. Oster 6 – cup glass jar. Oster 8 – cup glass jar. Product Dimensions: 10.2 x 8.5 x 13.8 inches. Height 14 1/2 inches including the lid and center cap. All parts can be disassemble and assemble quickly. Stainless steel 6 prong blade. The base is heavy, so it will not tip. Good for preparing frozen drinks and smoothies. Different cup sizes available as optional accessories. Not great for chopping, specially because of conical shape of glass jar. This product has a rating of 4.3 which is quite good. 82% of the ratings were 4 and 5 stars. That tells you that people are happy with it. But we need to take into account that most people use it for smoothies and shakes. It is a good blander for simple staff, and the glass jar is very attractive. 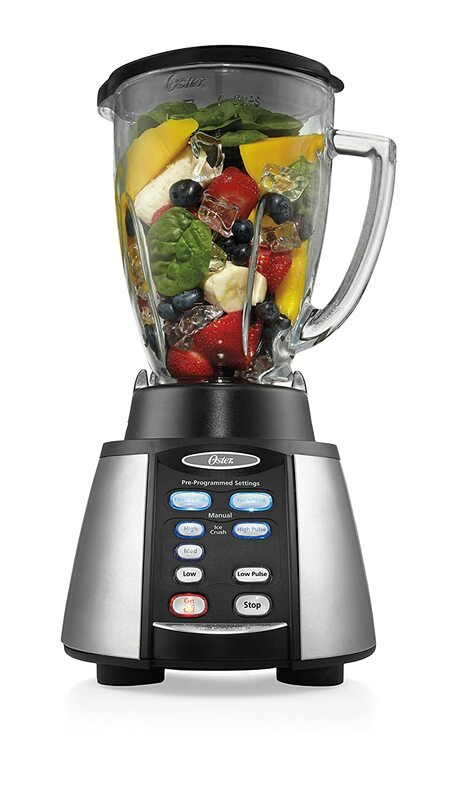 If your budget does not allow something else, then this would be a good blender to start with. Always have in mind what you will use the blender for. That will make your decision easier as to which blender to purchase. The price of this blender is very attractive. For this price you get quite a powerful blender. If you have Amazon Prime then you can also get free shipping. Oster is a good brand of blenders. They have very good blenders and the Oster BVCB07-Z is quite a good unit to start with, if you do not have anything else. You are keen on getting a glass jar. Ice crushing (best with ice crushing blade). If you are following a whole food plant base diet and you are wanting to do your own nuts milk or nut butters, then I would go for something more powerful. Perhaps another Oster model or a Ninja Professional Blender. If budget is not a problem I would consider other blenders like the Blendtec. If you happen to visit my site but you do not follow a Whole food plant base diet or if you have a tight budget, then the Oster BVCB07-Z would meet your needs. Have you read my other reviews? Click here to read some other blender reviews, like the Hamilton Beach 58148 Power Elite Multi-Function Blender.